IOANNIS PASHAKIS/ Sun-Gazette Local author Merlin Wertz shows a five-leaf clover and two four-leaf clovers that he found on the land his family has owned for generations. Old Lycoming Township resident Merlin may not be magic, but no one can argue how lucky he is. A local writer, Merlin Waltz found his first four leaf clover in Heshbon Park while he was editing an early copy of a book he was working on. The next day, he found two more while he was having his morning coffee. The following day, he found seven more, and on lucky number seven, Waltz found a five-leaf clover. 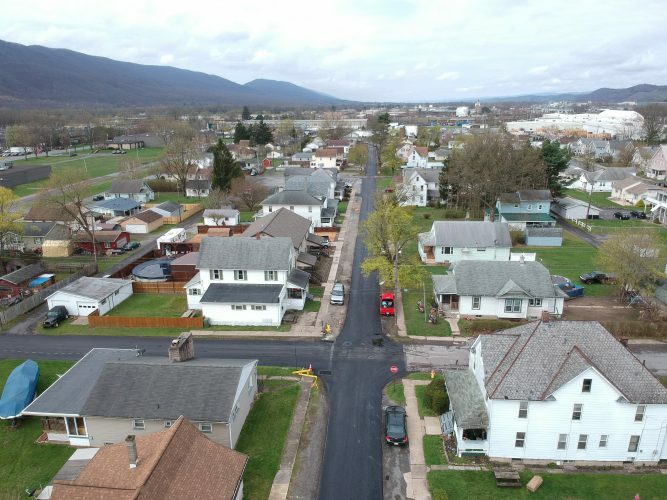 “I am usually sitting here having a coffee and just looking at the ground,” Waltz said about a piece of land outside of his brother’s business, Waltz Construction. 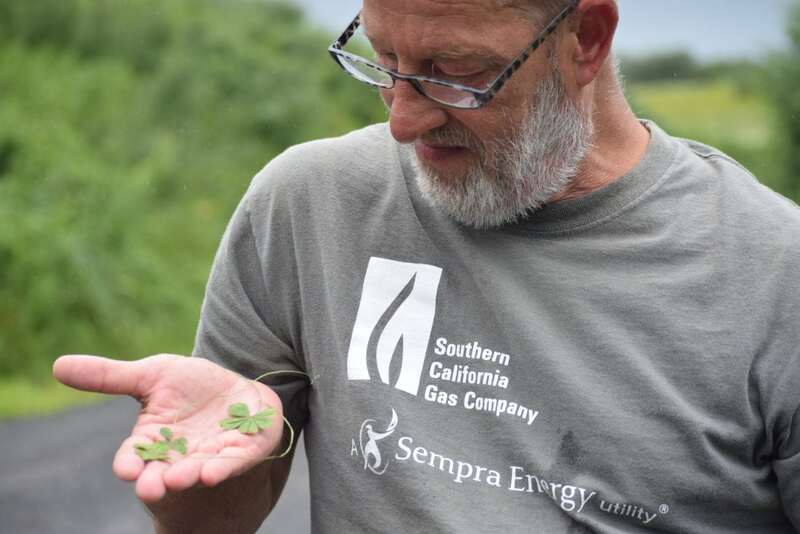 The land surrounding the business has been in Waltz’s family for generations, but in the past week he found a total of 12 four-leaf clovers and one five leaf clover while he was weeding along the road. Prior to his burst of luck, Waltz says the clover he found in Heshbon Park was his first. Waltz recently moved back to the area and is currently working and living with his brother. He says the burst of luck has helped convince him to move forward on one of the books he has been working on. “I’ve been deciding on whether or not to go through and finish the process and publish it and part of me thinks this is a sign I should do it,” he said. Waltz says he doesn’t view himself as a particularly superstitious person, but the positives of finding so many lucky clovers is infectious.